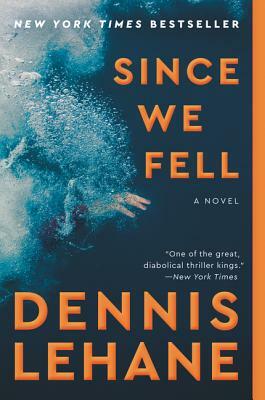 Since We Fell could be described as a psychological thriller, but it is much more than that. Lehane devotes much of the book to our protagonist, Rachel. She is a journalist who has had her share of challenges, from an overbearing mother who refused to tell her who her father was, to a traumatic on-air breakdown that goes viral and crushes her emotionally and professionally. By the time she falls in love and marries the seemingly perfect husband, we are emotionally vested in her. She has overcome a lot, but just when her life starts to regain some semblance of normalcy, she realizes that she has been deceived in a big way. It becomes apparent that things are not at all as they seem, and that's when it gets pretty intense! This is a book that builds steam as it goes. If you are looking for a good escape read, this is a great choice.